David De Gea’s future at Manchester United has been up in the air since he began performing sensationally for the English giants. The Spaniard has matured into one of the best goalkeepers in the past few years, but he may well have been on a different path in 2015 if it wasn’t for an administrative delay on deadline day that scrapped a sure-shot move to Real Madrid. But despite the delay, Madrid have been locked on to their target, and have actively pursued the 27-year-old in every transfer window since. After three years of conjecture over his future, Manchester Evening News are now reporting that De Gea has made his decision regarding where he wants to play. And it’s good news for the Manchester United fans. The shot-stopper has verbally agreed a five-year deal with the Red Devils, and has no plans of moving from the club any time soon. This effectively ends all rumours surrounding De Gea’s future, and is a blow to the hopes of Real Madrid president Florentino Perez, who is a staunch supporter of the Spanish number 1. A turning point in the De Gea storyline was right after the 2015 deal fell through, and the keeper played his first game for United only to hear the club faithful chant his name and thank him for staying on. It is said that the incident assured him that Old Trafford was his home, and nothing appears to have changed since that time. 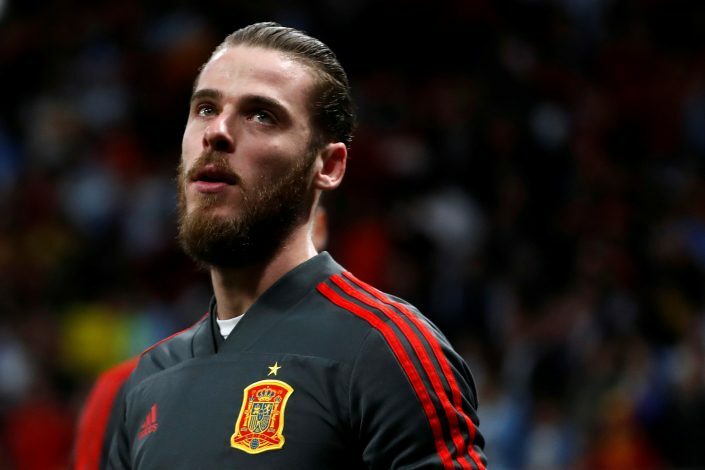 Despite a few mistakes this time at the World Cup, fan support for De Gea hasn’t wavered, and this too appears to have played a role in ensuring that the custodian stays on at United. His decision could mean that Los Blancos will now have to focus their attention on Chelsea keeper Thibaut Courtois to end their partial goalkeeping woes.